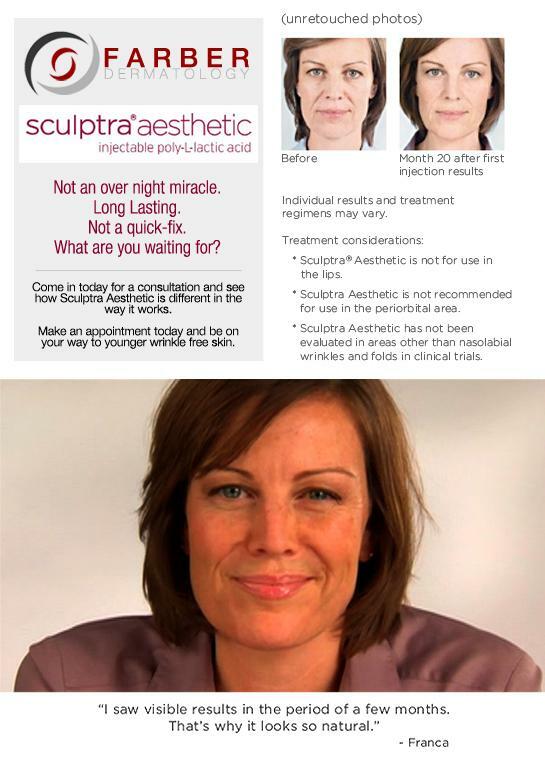 Introducing Sculptra® Aesthetic (injectable poly-L-lactic acid). Not an overnight miracle. Long lasting. Not a quick fix. The first facial injectable that gives you subtle results over time. Replacing lost collagen. Giving you a more natural-looking appearance, without giving you away. A full treatment of Sculptra Aesthetic, an average of 3 injection sessions over a few months, can last up to 2 years. Individual results and treatment sessions may vary. So you have more time to see how sensational subtle can be. Welcome to the new age of anti-age.